We will be focusing on definition number two. With Bike Month upon us and a whole slew of events on the way next week (see the post below) we figured it would be a good idea if we all got to know a little more about our local shops and local bike techs. 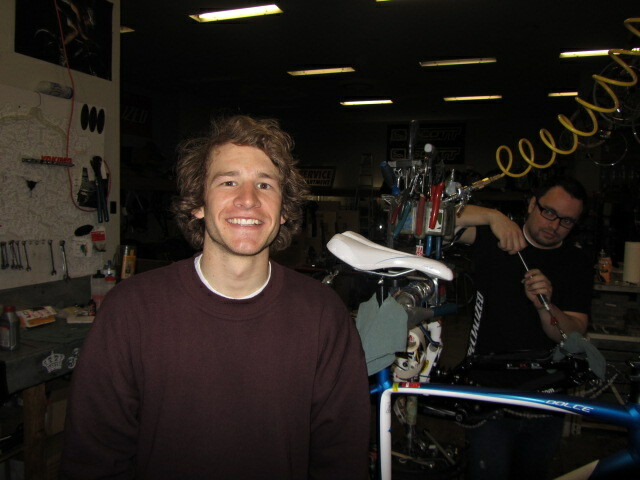 We will start this series with Shelby Burton of Bingham Cycles. BikeProvo: What is your favorite bicycle right now and, what type of riding are you doing mostly? Shelby: My Specialized Tarmac Road Bike is my current favorite. I am doing a lot of road riding. I am racing with the Ritte Racing Team. BP: What is your favorite part of riding in our beautiful city? S: There is a lot of variation, beautiful scenery, and good climbing. You can go out to West Mountain which is quite and flat or you can head over to Squaw Peak and the Alpine Loop and do some epic climbing. The climbs in the area really make me feel like I am riding in Europe in the mountains with all the trees. BP: I personally love the West Mountain ride. What is your favorite ride? S: Currently I would have to go with the Alpine Loop. Like I said it is just beautiful and has some great climbs. BP: If you could give one piece of advice to bicycle riders in Provo what would it be? S: Ride your bike and enjoy it. BP: Now comes the hard question. What is your favorite riding memory/experience? S: (Hesitates). Wow that is a hard question. I would have to say the first one that comes to mind is a ride I did with my family in Tahoe last year. We were out riding around on our road bikes not necessarily racing but also not just cruising. It was me, my brother, my dad, and a close friend. We were just enjoying the outside, talking, and riding. I would have to say that any memory like this is my favorite. A big thanks to Shelby for being interviewed and for Bingham Cycles and their support of cycling in Provo. 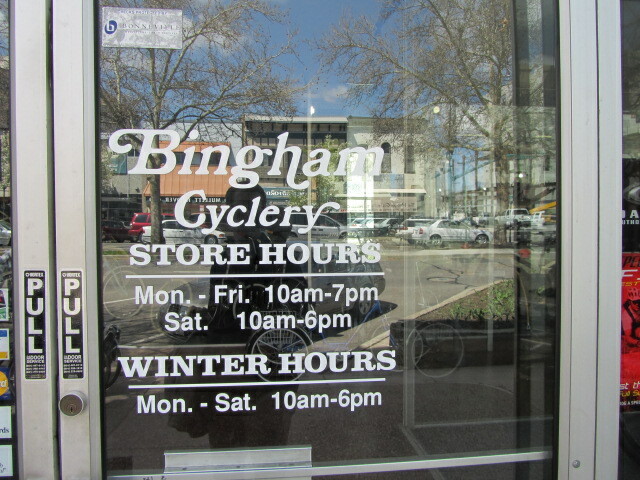 Bingham will be the shop at the Mayor’s Bike to Work Day giving out free tune-ups so make sure to swing by and say hi to Shelby. You can find Bingham’s Tune-up and service information below. Basic Tune-up: $60. This gets your brakes tightened up, your shifters running smooth, a basic cleaning and lubrication of the bike, and they take the wheels off of your bike to true them. Tune Packages: Prefered Service $80. This includes two years of unlimited tune-ups and service i.e. flat tire repair, accesory/component installation. You also get 10% off all accessories in the shop for those two years. Time to Wait: They usually have a 2-5 day turn over.